Last year, I published (or re-published) 11 photographs I felt were my best of the year. This year I’ll attempt to do the same and tell the story of my year in photography. I started the year in a photographic slump, sort of. There just doesn’t seem to be as much to photograph in the winter, anyway, and many photographers are known to save up their work from spring, summer and fall in order to spend winter in the darkroom printing it all. I came out of my slump, though, with a series of redscale experiments in February. Most of the images I made were not great photographs but it was a fun exercise, and I’ve since revisited a few places I shot in redscale with regular color or black and white film. My very favorite of all the images from the experiments, though, is the one above — an almost alien landscape from the Denver Botanic Garden. Around the same time I was wrapping up test shots for several reviews as I pushed myself to publish more stories in 2015. I took two test cameras on a walk with Kate in Cheesman Park while she was testing out the performance of a new winter hat she knitted. We watched a squirrel stealing the carrot nose from a melting snowman, chunk by chunk. 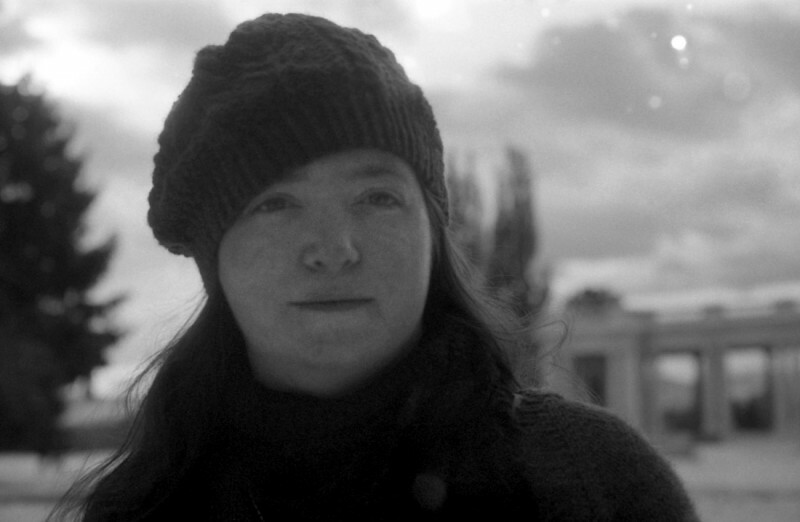 I also finished the last test roll for what would ultimately become my review of the Soviet-era Russian FED-5c rangefinder, the final frame of which was this portrait of Kate in her new hat. She’s wearing the hat again this winter, so I’m guessing it passed the test. I sure think it’s lovely. When I start to get a review ready, one of the things I try to do is take some nice demonstrative shots of the camera I’m reviewing. For a while I was using a cheapo Sunpak light tent I got on clearance and my Canon 30D. The light tent featured a light grey cloth that draped out to approximate an infinity cyclorama, but I didn’t really know how to use it and was never very happy with the results. Speaking of the Spotmatic, I had a genuine blast testing it out after finding it at a flea market. I think I started the first test roll that very day with an M42 lens I had in a box. The fact is, though, it’s just a great camera. Up until that point I had typically been running just one or two test rolls through a given camera, but during the course of 2015 that changed. Increasingly I’ll carry a test camera around for several weeks and pump more film through it depending on how much I’m enjoying it. I think I shot 6 or 8 rolls with the Spotmatic before settling down to actually review it — two rolls in just that first day. What can I say? I really liked it. I spent a lot of time during the first half of the year on and around Denver’s 16th Street Mall, making test shots with new cameras all over. 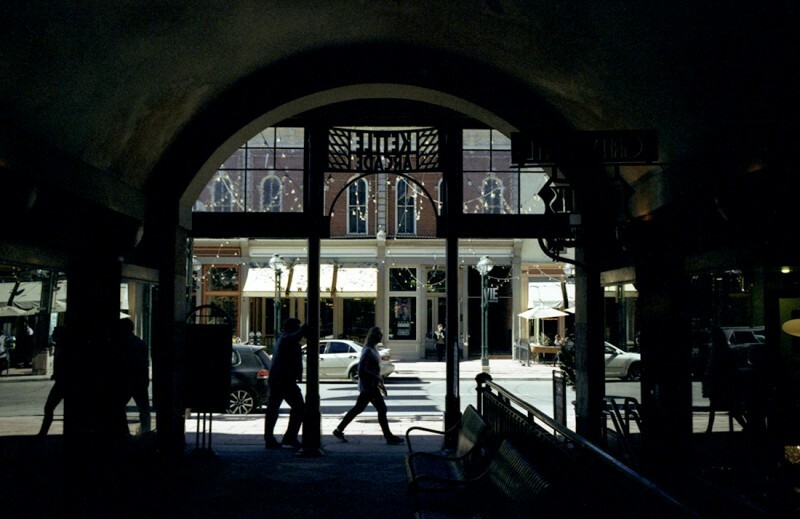 I revisited Larimer Square with several of them, but this frame looking out through the Kettle Arcade tunnel is among my favorites. 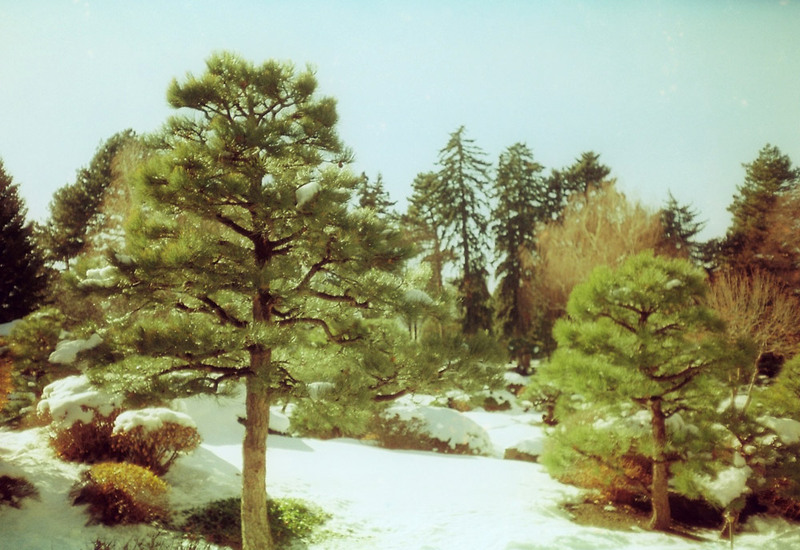 Despite being taken with very expired consumer print film, I’m very happy with the way the color and exposure came out. 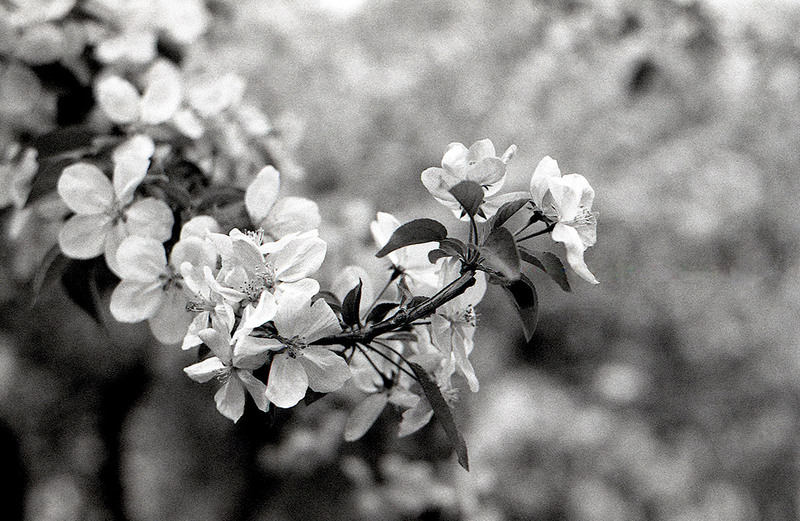 Shortly after testing the Spotmatic, I moved on to the Fujica ST605n — another M42 camera. I’d hardly touched M42 lenses prior to 2015, but after using several this year I think I like them. Previously I had kind of felt like the thread mount represented something anachronistic … too old to be worthy of serious photography any longer. I’ve definitely revised that opinion, though. Bayonet mounts of various types have been around for over 50 years, and they replaced thread mounts pretty quickly after being introduced. But I think they were just a convenient way to add more data-sharing (mechanical or electronic) between body and lens while at the same time making lenses increasingly proprietary. 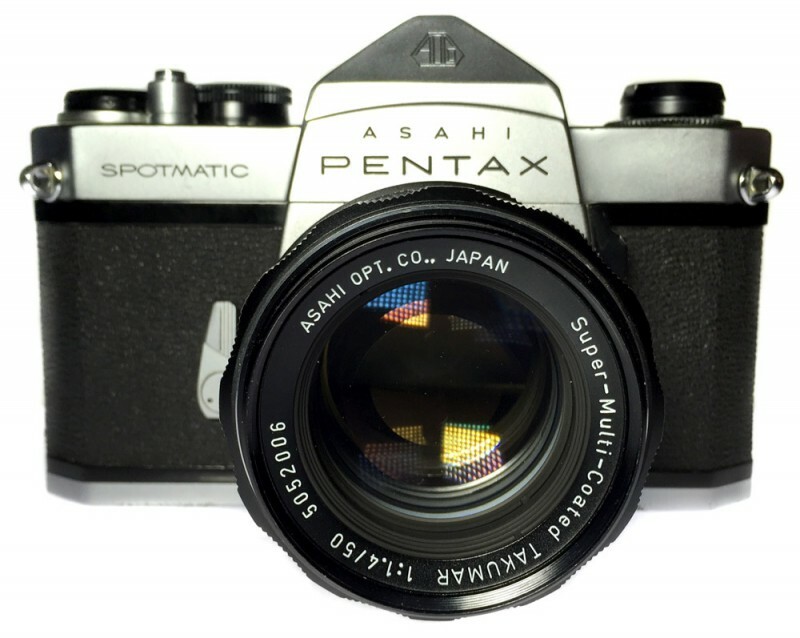 If you had an M42 Mamiya/Sekor camera but wanted a Spotmatic, you could buy one and keep using the lenses you’d purchased for the Mamiya. If you were invested in Canon A-body cameras and FD lenses, switching to a Pentax K-mount or a Nikon F-mount system was a mighty expensive proposition. I took the Fujica to a lot of the same places I’d taken the Pentax. When it came time to ready the review of the ST605n, though, I found was happier with my black and white photographs from those tests. There were also a couple of features on the Fujica I liked even better than the Spotmatic, such as the big round button for the stop-down metering. Somewhere in there I tested the Olympus OM-G, a camera I wasn’t unhappy with — but wasn’t as excited about, either. Nevertheless, after loading my first test roll I tossed it in the car and made a few pictures during a meandering drive to meet up with Kate at her parents’ house in Weld County, Colo.
One of the first photos on that roll turned out to be among my favorites, and what I saw and photographed that day has influenced me to return to the area with other cameras in hand. 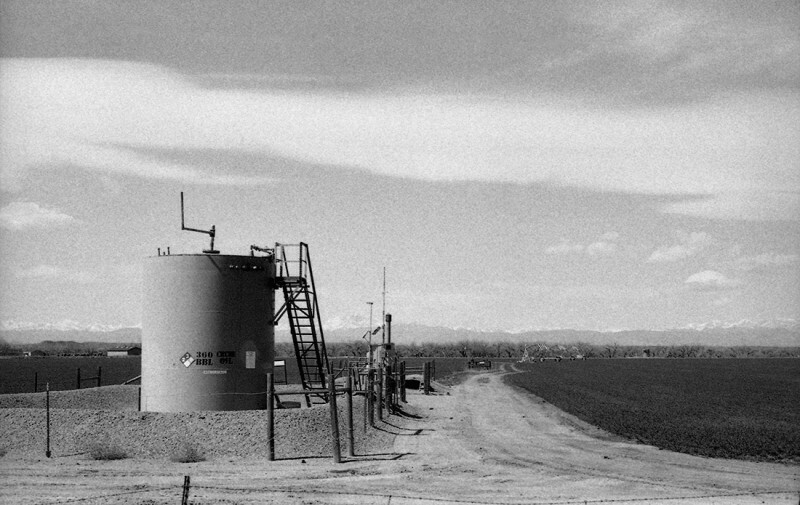 Just to be clear: I’m not really interested in covering the major aspects of the petroleum boom in the west-central U.S., such as the environmental impact, the noise, or the political implications — they’ve been covered well and frequently by my own Denver Post and many other outlets. I am interested, however, in the less highly visible impacts, such as the additional traffic (this has been covered, particularly the rise in accidents on rural roads) and the toll that traffic takes on rural infrastructure, and the increasingly common juxtaposition of suburban neighborhoods, schools and commercial areas against nearby oil-industry infrastructure. 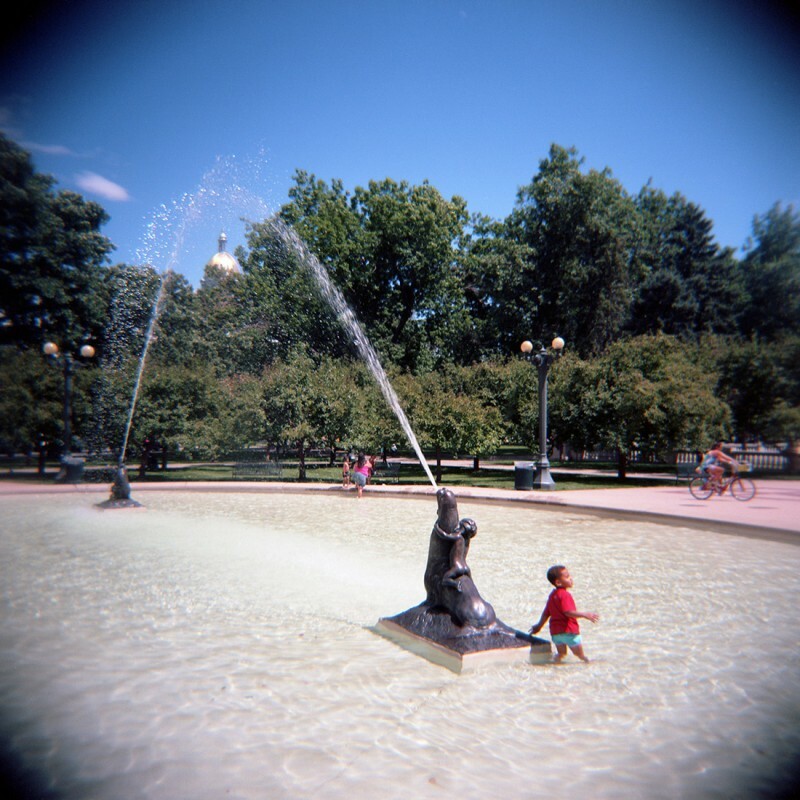 I took a break from hard-work photography to have some fun with Holga Week and The UMS. I found I wasn’t in love with the Holga, but then I’m not very much in love with any toy camera I’ve tried out. I still enjoy trying them out, though. But taking part in Holga Week planted the seed of the idea that became my list of annual film photography events, and my Holga Week post also led to a film swap you’ll be hearing more about quite soon. 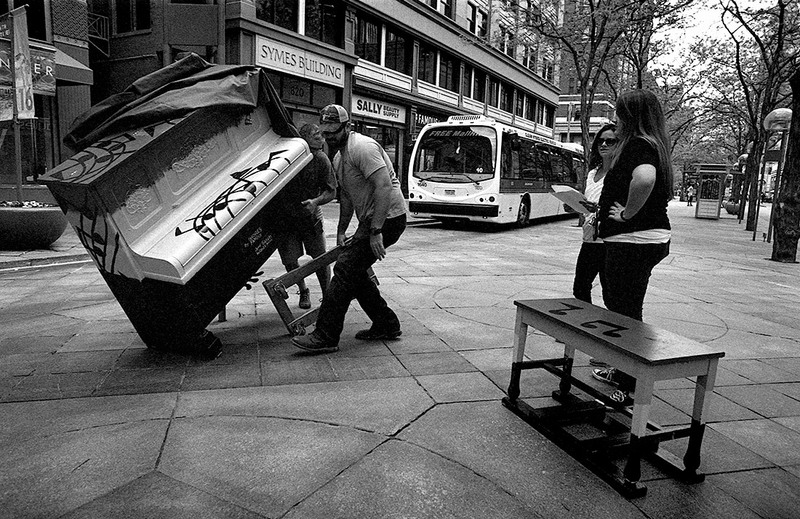 Lastly, I’ve submitted this image for inclusion in @HolgaJen‘s “Your Favorite Holga Photo of 2015” collaborative gallery. I don’t know at this time if Jen intends to make this an annual event, but I know it was seeded by one of 2015’s major losses to the film community — the permanent closure of the Holga factory in China. It was a sudden disappointment to a community that has more recently been celebrating signs of improving health in the film market. Before all of that, though, Kate and I spend a week in and around Paonia, Colo. — an agricultural town with strong ties to nearby coal mining, and which has, more recently, become a bit of a hippie haven, complete with a fantastic farm-to-table restaurant and a very good craft brewery. 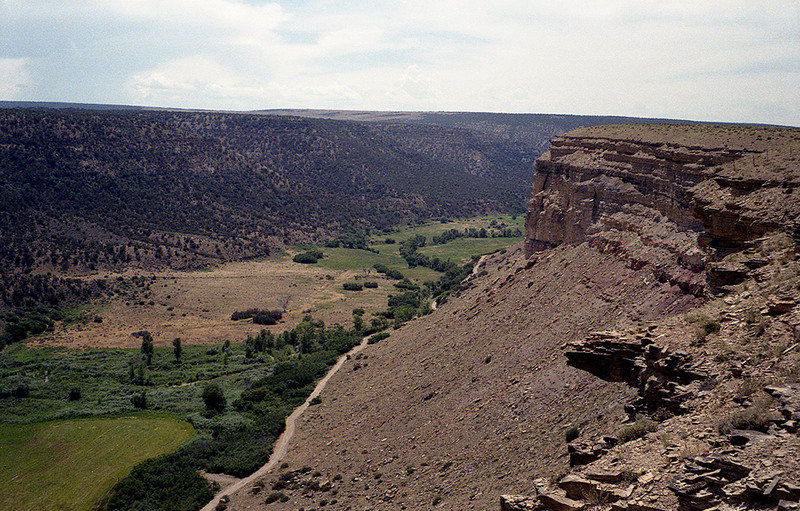 Deep in the North Fork Valley on Colorado’s Western Slope, Paonia is surrounded by orchards, cows and sheep, and is not far from the north end of the Black Canyon of the Gunnison. I haven’t yet published most of the photos I made while we were in the area, but I did run some test film through the Konica EE-Matic Deluxe on the trip and came out with one frame of which I’m pretty happy with. Diamond Joe Gulch is a gaping chasm that suddenly appears in front of you as you head south on county roads from Paonia with rich, green farm land on the valley floor. It’s only a few miles down the river that the Black Canyon begins to form. As for the rest of the year’s efforts of which I am truly proud, nearly everything belongs to the big, mysterious project I’ve been referencing and teasing for a couple months — and most of that remains as yet unpublished. 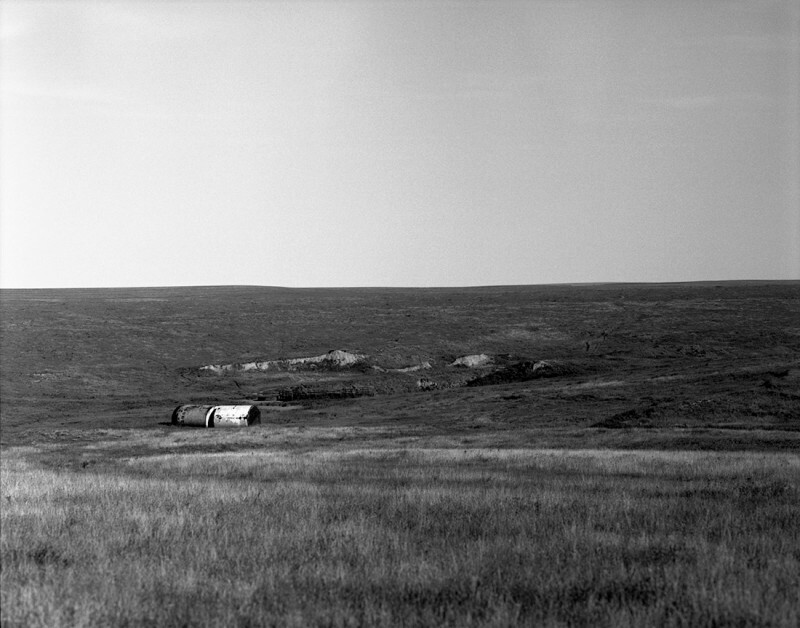 In November, I was interviewed by EMULSIVE for his “…this is why I shoot film” series, and I shared more images there than I’ve yet published, including this image of languishing condensate tanks from the last oil boom in Colorado. I spotted them deep in the countryside in Kit Carson County, Colo., between stops in towns whose names can only be found on out-of-print maps. I’ve published a couple of other sneak previews of the project you can probably find if you click around the site a bit. I’m not going to make it that easy for you, though — I’m trying to maintain that air of mystery a bit longer. 2015 was a year of new friends and new roads, and a new primary working camera — the Pentax 6×7. You’ll not only be seeing more work made with this massive workhorse, but hearing a lot more about the camera itself in 2016. For the time being, let me prepare you for the idea that I will be publishing my film photography in print for the first time soon, as part of a collaborative effort with my friends Andrew and Craig. You’ll hear plenty about that when it’s time. When the Elk Creek Mine went idle in 2013, it impacted nearby Paonia but it hurt Somerset most of all. A tiny town on a bend in the North Fork of the Gunnison River, Somerset wraps around the giant mine operation whose boxcar loader is visible from every building in town. Since the closure and the 115 layoffs — most of the workforce at the mine — more than half the properties in town have been sold or are on the market, and some have simply been abandoned. I spoke briefly to Bruce Wade, who lived in Somerset and worked at the mine for more than 10 years. 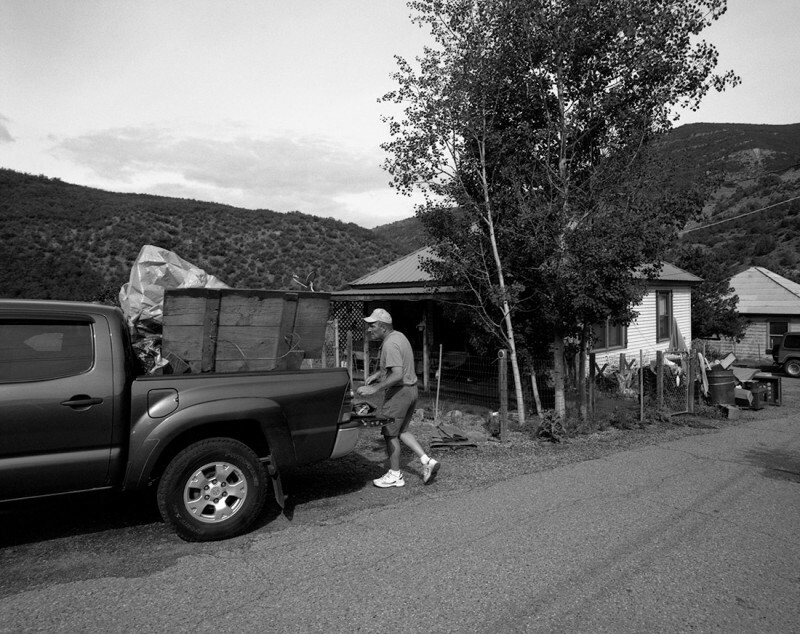 When I met him, he was packing up his truck and preparing to leave Somerset for the last time on the way to his new home in Parachute, Colo., where he had finally found work after 18 months of unemployment. I made a lot of other photos during the year, and will be publishing plenty of them in the coming months as I finish my reviews and projects. My camera joined me on all sorts of adventures — a hike in Castlewood Canyon with the Pentax ME-Super, a weekend of Doors Open Denver with the Nikon F2, a trip to the Elizabeth Fiber Festival with the Pentax 6×7 — and I’m far from caught up developing and scanning everything.